Visual Studio Code>Themes>pico8-themeNew to Visual Studio Code? Get it now. With this theme, I suggest using the "PICO-8 mono upper" font found here. 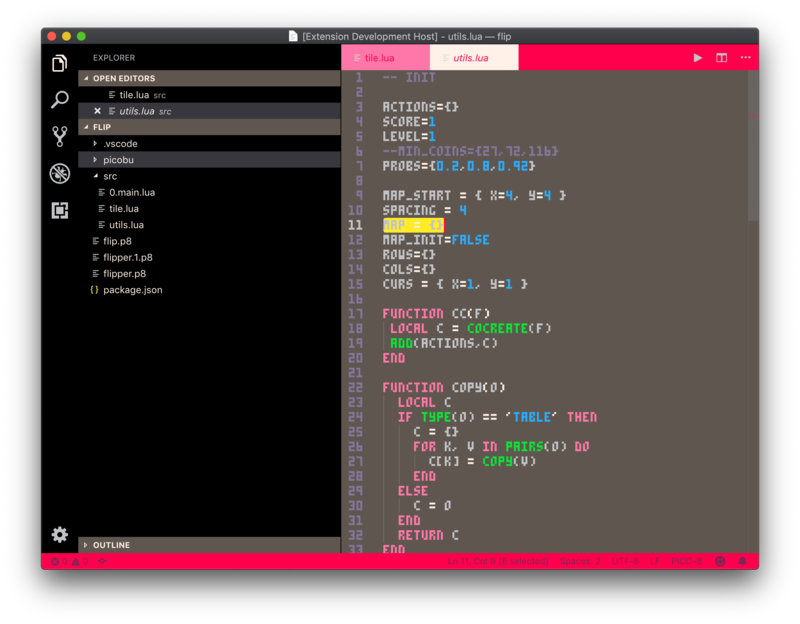 This extension contains two themes: "PICO-8", which aims to style everything, and "PICO-8 Editor-Only", which only styles the code editor and leaves everything else default.